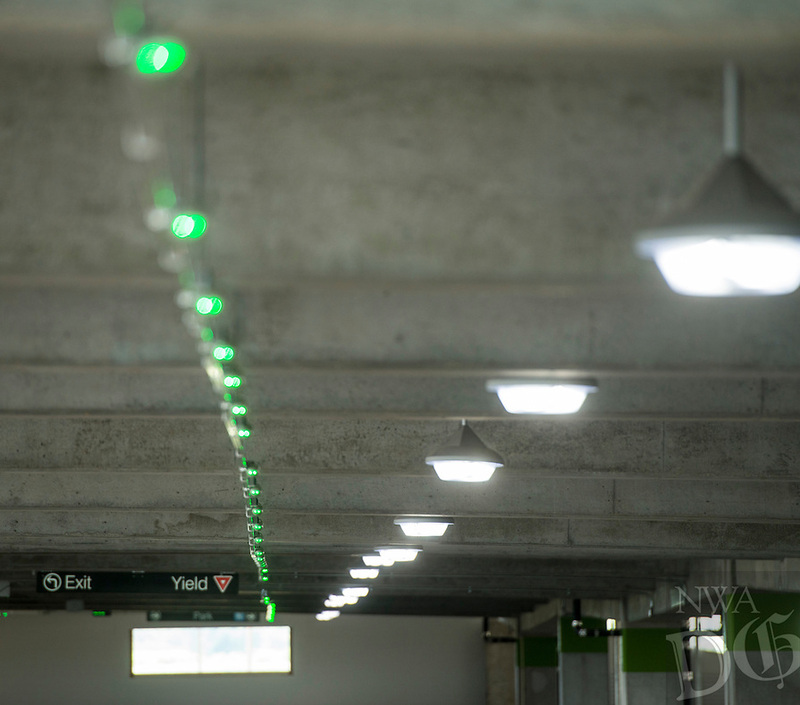 Parking guidance system lights shine green for empty spots Wednesday, Aug. 8, 2018, in the new parking deck at Northwest Arkansas Regional Airport. The four-level deck with 1,110 spaces opened to the public at 10:00 a.m. today. It includes electric vehicle charging stations and a parking guidance system to help drivers find empty spaces. The lighs turn red when a vehicle occupies a space, and handicapped spots have blue lights.